Why we love it: Get polished and glowing! 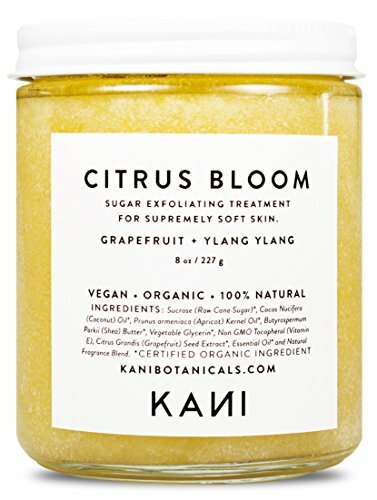 Rich in antioxidants and nourishing oils, this body scrub from KANI botanicals helps promote healthier skin. Raw Sugar buffs away dull and dehydrated skin while Argan and Grapeseed Oil restore moisture and radiance. A bright, tropical citrus scent makes for an uplifting aromatherapy experience.